The Oatley family took Australian wine to the world, now they are making sure Australian island luxury is taken seriously too. The family business runs from vineyards, wineries and cattle stations, through to thoroughbred horses and latterly, luxury tourism at Hamilton Island on Australia's iconic Great Barrier Reef. 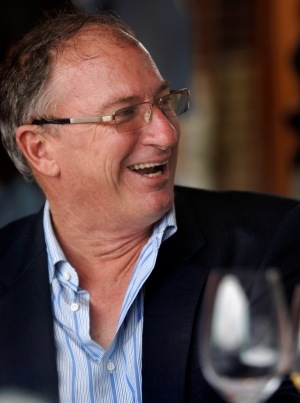 Sandy Oatley, Chairman of Hamilton Island Enterprises is the man at the helm of this part of the family business, creating not only Qualia - the island's first truly up-market resort - but more recently Hamilton Island Yacht Club and Villas and Hamilton Island Golf Club. 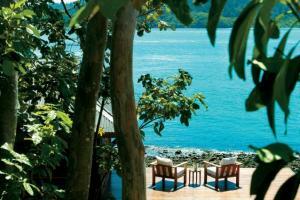 What inspired you to create Qualia and the HI Yacht Club and Villas? We bought Hamilton Island in 2003 and immediately stepped back to look at what was really needed for our guests. At the time we felt that there was a real gap at the top end of the market in Australia for a new luxury world class offering, as the last one to have been built was Longitude 131 some years before. We found the perfect location on the Island at the northernmost point and built qualia with 60 pavilions and the Beach House. In order to complete this vision of offering a world-class destination we partnered with Iain Murray and architect Walter Barda to design the Hamilton Island Yacht Club which opened last year with its iconic sweeping design and 35 luxury villas to go with it. 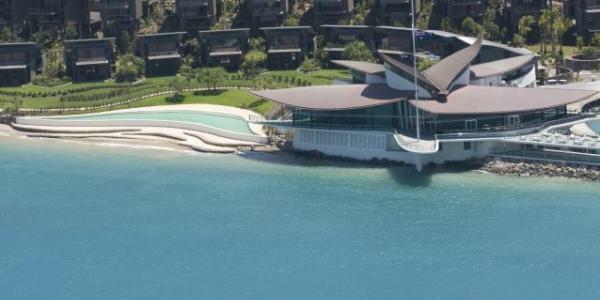 We also felt that with the popularity of golf continuing so strongly that we needed a golf course and worked with Peter Thomson to design the 18 hole Hamilton Island Golf Club which opened in August 2009. It has been terrifically popular ever since. What is the single best defining thing about the developments? There is no one thing but I think it's about the physical beauty of each of the developments using local natural timbers and stone and architectural design that has them sitting perfectly within their locations. 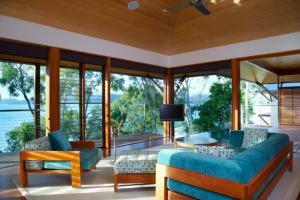 But I think it's also about the guest experience that we have created at Qualia and the Yacht Club and Golf Course. Qualia's spirit of place, is that important to you? Absolutely. We worked with architect Chris Beckingham to create something that was really special and distinctively Australian for our guests. You can see this in the use of local wood, the stone, and the way the pavilions sit among the eucalyptus trees. And when guests walk in through the doors of the Long Pavilion and have that view over the sparkling blue Whitsunday waters, well that is the wow factor and the reason people keep coming back to us. They also tell us the place is peaceful and calm not to mention that the food and wine and the service is all world class. I think it's about experience and not gadgets any more - I think people are so time pressured and the luxury they crave is to be able to stop for a moment and take time out of their hectic lives and have someone anticipate their needs, whether that's to get them a glass of champagne or to know when to leave them completely at rest. What is your own personal litmus test for luxury? It's about the service and anticipating my needs seamlessly. It's also about the overall experience which includes the food and wine - being a winemaking family as well as in tourism the wine is important too. It's also about the look and feel of the place and its people, the staff and the way they are dressed and the way they act. Other than your own, what are your favourite hotels/resorts? I love the Ritz on Piccadilly in London - the building has a sense of history and charm and the service is incredibly efficient. Without doubt it would be Costa Smeralda in Sardinia - particularly Porto Cervo. Dad (Bob Oatley) goes there each year to sail - this is his passion and the reason of course, we ended up buying Hamilton Island. It is a wonderful development with a fantastic marina, homes and restaurants all sitting side by side in harmony. Tell us about your best overseas restaurant experience. We tend to try and avoid hotel restaurants or the better known restaurants for the most part when we travel overseas. Instead we try and find the places the locals like to eat so we can get the best of the food and wine the region has to offer. I particularly like the service on Singapore Airlines. My iPhone, a credit card and my watch! What is one luxury travel experience you won't forget? We were having dinner at The Ritz one night in London (I will make an exception to eat there!) and there were ten of us at the table. The waiters presented the meals with their silver lids on and all at once - as if choreographed - they lifted the lids in unison. I know this is not unusual but the timing was so perfect and the action so precise that it seemed like one should clap at the beauty of the performance! What is the most important thing that money can buy? The access to new cultures and experiences that we can now enjoy through travel. What is the most important thing it can't ?